A dental implant is a replacement for the root of a tooth. Similar to the natural root of a tooth, dental implants are secured to the jawbone. 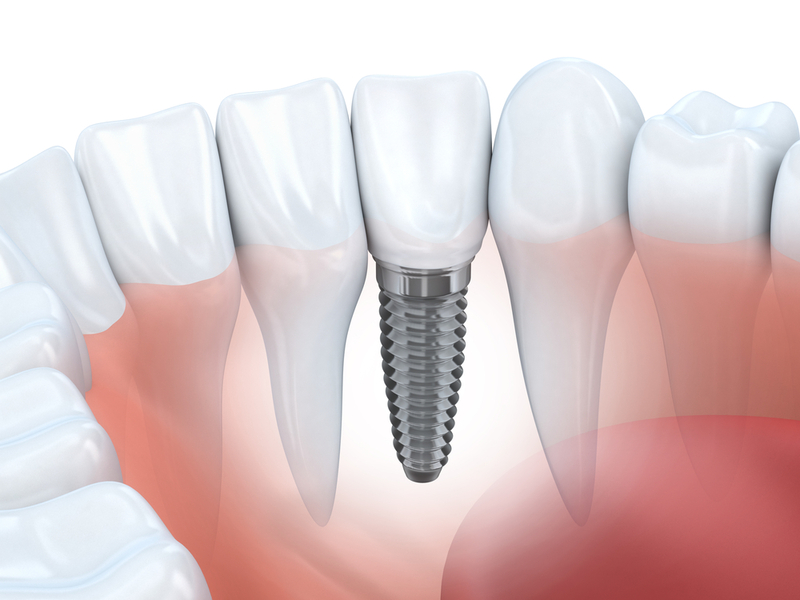 Once a dental implant is in place, it is used to secure crowns, dentures, or bridges. They allow patients to regain the ability to eat comfortably and smile with confidence. Dental implants are titanium posts that are placed into the jawbone in the same place that the missing tooth was. Titanium has the ability to fuse with bone, in a process called osseointegration. When the implant is inserted, the bone bonds to the titanum, creating a very strong foundation for the artificial teeth. In most cases, if you have lost teeth, dental implants will work for you. In rare cases, however, some conditions may have an affect on whether implants are the best course of action - including advanced gum disease, alcoholism, and smoking. Prior to placing the implant procedure, we will complete x-rays and a detailed assessment to determine whether or not dental implants are right for you.